Anyone who has been involved the production and deployment of ad copy knows that even the slightest alterations to a formula can make a huge difference. Between what keywords are used and the imagery associated with it, you may end up producing a well-performing ad set, or one that simply falls flat on its face. 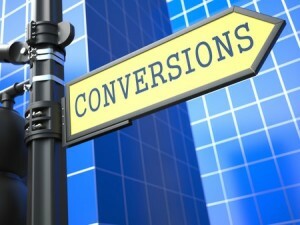 With the number one goal of ads being conversions, it only makes sense that you’d want to maximize this effect. As it turns out, the pros in ad marketing use a few simple tips to generate such success. We’ll discuss the dynamic below, and share with you three simple tips that can bolster your conversion rates and maximize profit. When promoting a new product or development, it can be easy to get carried away with highlighting what you have done or are offering. While context is obviously important in boosting conversions, pinging search engines with ads that brag more than inform will fail to achieve their goals. Several studies have shown that simply invoking the personal (you, your, etc.) can cause the wandering eye to zero in on your ads and dramatically boost conversions and clicks, so be sure to include this in your ad copy. By combining a focus on the consumer with action words that convey a use or benefit, your ad success dreams will suddenly become a reality. Most shoppers use intuition and emotion more than they use analytical reasoning. This trend is why we see so many subliminal messages and slight deceptions in ads of all types (for instance, the use of “9.99” instead of “10.00” to subtly persuade an individual of something being a dollar cheaper than it really is). You want to persuade your ad viewers into thinking that the product or service being offered is absolutely needed by them, and as such, you will want to promote its benefits. When you create ad copy that outlines features, it reads a bit like a technical manual and shoppers will not respond as positively to this as they will to something that explains what those features provide to them. There is a difference between necessity and desire. In the world of producing excellent ad copy, however, there shouldn’t be a difference! When you invoke that something is needed – rather than merely desired – you automatically increase the likelihood that someone will purchase or evaluate your product. Want implies a choice; need implies that it is mandatory. By including words that encourage people to do something that they must do rather than something that they may simply want to do, you can convert a greater share of them into acting. This can be especially effective when trying to “up-sell” to a customer, and is even more effective when using retargeting tactics to reach out to prior customers and visitors. By keeping the consumer in mind, using benefits to tout a product or service, and by implying necessity, you can enjoy greater success in terms of conversions when pinging search engines and social media with your ad copy. Subtle changes in your ads can make a huge difference, so begin using these three tips today in order to augment your existing strategy!